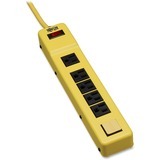 The PS-606-HG Medical-Grade Power Strip supplies power outside of patient-care vicinities, such as administrative areas or in resident rooms of long-term care facilities that do not use line-operated electrical equipment for diagnostic, treatment or monitoring purposes. 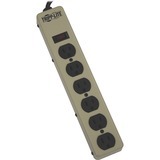 Compliant with UL 1363 specifications, this 120V, 50/60 Hz power strip features a NEMA 5-15P-HG hospital-grade plug and six NEMA 5-15R-HG hospital-grade outlets. 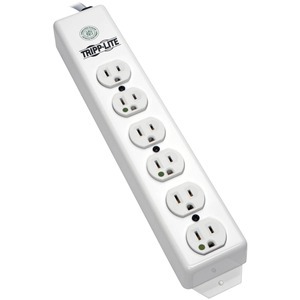 A built-in resettable 15A circuit breaker controls power to all outlets and protects the power strip against overloads. 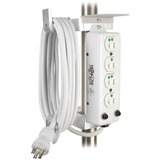 Switchless design prevents the unit from being accidentally shut off. 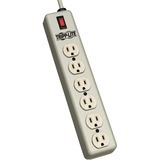 The 6 ft. cord reaches convenient power sources. 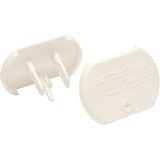 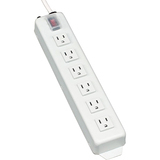 Keyhole mounting tabs and flanges make installing this power strip easy. 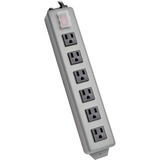 The all-metal housing ensures safety and is guaranteed to last a long time in demanding surroundings.